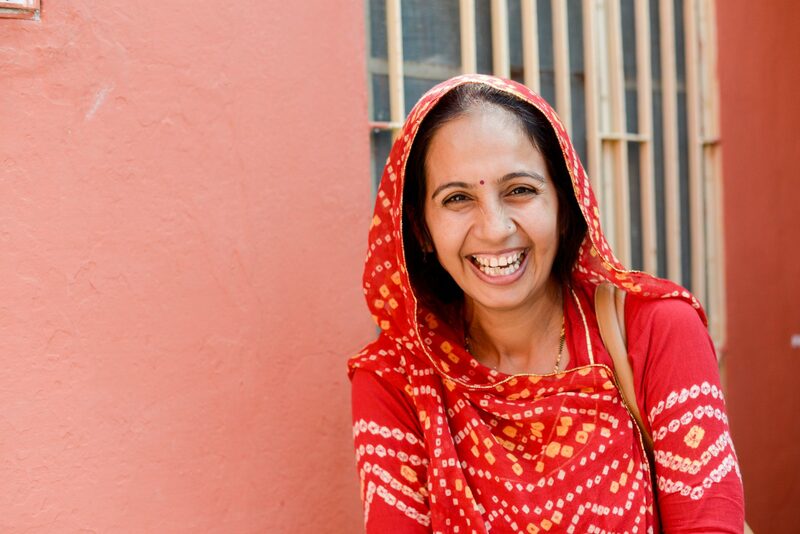 Geeta was born in a middle-income family in India and was educated to the 10th grade. When Geeta was 20, she married into a new Panchayat (village) and when she arrived she was surprised that so many girls were not in school, and that they were working instead. She also saw that child marriage was common practice and that girls were giving birth at a very young age. She passionately wanted to change this, so 2 years ago she decided to run for a position on the Panchayat Council for a seat reserved for women. Running for the election was a significant challenge for Geeta because she comes from a community where women stayed at home and were only seen as a mother, wife, daughter or sister. To run for the election she had to go door to door and campaign – including talking to men who were not in her family. She won the election against 2 opponents by an incredible 1,500 seats. She was voted as the President of her village – an amazing feat as a woman given that the previous President had held that role for 20 years. In her time in office, Geeta has had many incredible successes thanks to the training, education, and support of The Hunger Project. The Council has recorded all of the work and its value on the outside of the Council building for everyone to see and for transparency. A bridge was constructed to connect 20 other villages and panchayats. Many had tried before her and failed. She attended a meeting with The Hunger Project Panchayat Presidents and knew the Minister would be there. Geeta prepared a petition and delivered it to the Minister. As a result of her petition, the Minister allocated funding for the bridge to be built. A birthing room was built and staffed with a nurse. The nearest centre used to be 35km away. A tree is now planted for every girl born, a powerful symbolic message that girls should be valued and not aborted. Child marriages have been stopped in Geeta’s community. She passed a resolution that the Panchayat would be free of child marriage and, as a result, there haven’t been any for 2 years. Looking at the positive impact of just one Elected Woman gives you an idea of the enormous collective impact of the cohort of 511 new Elected Women who were trained and supported by The Hunger Project in 2016! It costs just $260 to train one Elected Woman Representative – like Geeta – per year and give her the tools she needs to end hunger for hundreds of the poorest, most marginalised people living in her community. Help now.